Espen, a fourteen-year-old boy joins XU (Norwegian Intelligence) to fight off the Nazis in Norway! He has accomplish many dangerous missions already. He has a sister Ingrid, a mom and dad, and he even has his own girlfriend named Solvieg! He lives in Lilleby which is a small town situated on a fjord. Boom.That’s that noise Espen hears right after he gets pushed over onto the floor. He is shot, but is he dead or not? Shadow on the Mountain by Mari Preus is a story about a Norwegian boy during World War II who worked as as an undercover agent for XU on behalf of the Allied powers in Norway against Germany. Operation Weserübung begins on April 9th, 1940 which was the start of a five year deadly Nazi campaign on Norway. Espen the main character, is fictional, but is based on Erling Storrusten who was a real life teenage war spy. Most of the events that take place in the book are real. Espen had a sister and a girlfriend both based on Erling’s sister and girlfriend. The town of Lilleby and the fjord it is situated on is fictional, but is based on the town of Lillehammer in central Norway. Espen, the main character, is a teenage spy working for XU. In all of Espen’s operations, he puts himself in very dangerous situations in which he could get shot. In one of his operations, one of his schoolmates who is a Gestapo man finds one of his resistance friends and shoots him on sight because he was at his house with supplies from an Allied air drop. Right after Espen’s last mission, Ingrid, his sister, is horrifically choked after lying to Gestapo men who catches her at her house. When he is traveling on skis to Sweden he is shot at by Gestapo and was hit, but a book he was holding in his shirt pocket protected the bullet from hitting him because it was shot so far away. Around the middle of the war one of his friends dies, two are captured, and two more are escaping to Sweden. That leaves him one more mission left to do. This will be the most dangerous and important mission of all: write a complete map of the Wehrmacht’s garrison in Lilleby. The only way he will be able to do this is to get maps from POW’s he visits. He will need a fake costume and a fake I.D. He eventually completes the map despite being caught by one of his old schoolmates. With every mission completed and finished he has one more thing to do.He must get to neutral Sweden. He has five guides that guide him throughout the trip to Sweden. All of their codenames are Haakon. When he has his second, third, and fourth guide he is close and shot by Aksel and Kjell. At one point when he loses his fourth guide he meets up with Kjell and talks. Kjell does not want to take him and Aksel is going back. Kjell does not take him and disappears from Espen’s sight. All he has to do is to travel on to the border. When he gets there he needs to show a fake id card given by Haakon V. Somehow he memorizes the names of his fake id’s relatives and gets past the Nazi border patrol. In the book Shadow on the Mountain, a fourteen year old boy, Espen, quickly joins the Norwegian resistance to support Norway in the fight against the Nazi enemies during World War II. Being only fourteen and still signing up is incredible and extremely dangerous. I got to know Espen while reading what happened throughout the story. He was shot at multiple times during his escape to Sweden, his sister was horrifically choked after she lied to Gestapo, he made it out of several situations that could have caused him and his family to be killed. I think that Espen is brave for doing all those risky acts including getting supplies from an allied airdrop, delivering an illegal radio, and delivering important papers to his allies. Everything he does throughout the story is dangerous and was never caught. At the end of the story on Espen was trying to ski across the border to neutral Sweden when he is shot at by Gestapo. The act of braveness is when he is actually shot, but since the shot was fired from a long distance away it hit his sister’s diary. Espen reached for his rucksack.“I used to complain that Ingrid’s writing habit was endangering our whole family, but it turns out.......” it actually saved his life. Without that book he would have been dead and that book was there to stop that from actually happening. From joining the resistance at age 14 to actually getting shot, Espen has true braveness inside of him. If you were walking next to the road very late today nothing would happen. No one would stop and bother you like the police. In Norway during the Occupation you would. If a Nazi car or patrol saw you just walking down the road late they would stop you. If you had a bag they would force you to show them it. They would be very suspicious with you. 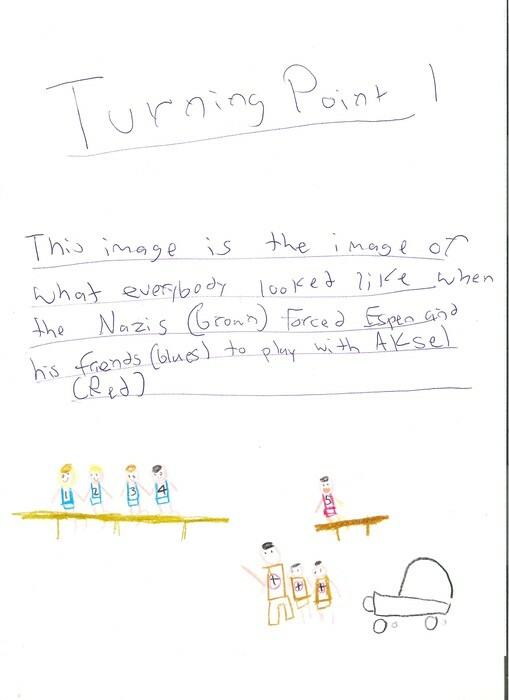 On page 52 Nazis come to the soccer field forcing Espen and his friends to play with Aksel as there captain. They also force the team into a Nazi youth team as they will have to play other Nazi teams. Today you can’t just come to a team and tell them that they are part of your league. When the Nazis came in all they wanted to do was to make all of the sport teams be in Nazi youth leagues. They just forced them or else there would be consequences. Today you are rarely told what to wear for casual things. Unless school or church which you have to wear nice clothes, you don’t really have to wear EXACTLY SOMETHING for the public. When the Germans invaded they had a BIG list of clothes that were not supposed to be worn. Red was not supposed to be worn, but who listened? Red was supposedly a communist color, but the Norwegians wore it because it was an important color of the Norwegian flag. 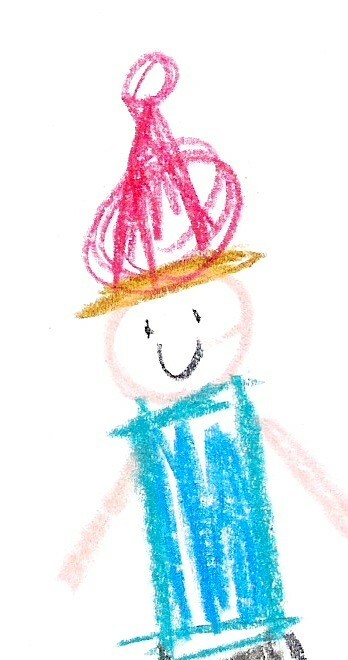 Red hats, gloves, pants, and shirts were worn every day even though they weren’t supposed to. On page 90 and 91 everyone in school wore Red stocking caps (Santa Claus hats). Ingrid who didn’t have a red hat instead wore red stockings. The Nazis hated red, but what could they do? If I was in that time period I would of wore red face paint, a red shirt and red pants for all I care! I am kind of confused though because red was a big Nazi flag color so I would encourage red. Today if we wanted to go somewhere all we would do was drive. We would rarely walk, only if the place was close. Back then cars were very expensive. Also everyday it would snow so it was hard driving in those kind of conditions. Instead of driving they would ski! Skis weren’t expensive and they were easy to make and they made everything easier. If you want to make a quick getaway you would literally “jump” on them and go. It would take a lot more time to get a car starting and it was also faster than running. All you needed to be good was a good wax job. If it wasn’t waxy then it wouldn’t go as fast as with the wax. 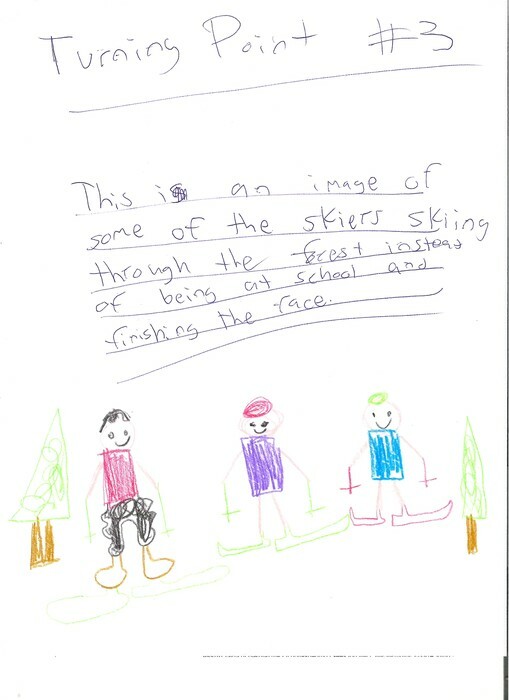 On page 223 to the end Espen is skiing to Sweden. He was going really fast that even his followers couldn’t catch up to him. When his friend thought he was shot he said “You ski devilishly well for someone with a bullet in him”. It was also needed that you skied or else you would be in a lot of trouble. A car was just a waste of money and if you were wealthy you would buy a lot of skis or the best skis ever! Around April 9th- Vidkun Quisling declares himself the new head of government and revoked the order to mobilize.